Have an eye for an impressively dazzling SUV? Ford Edge is always in style with proven reliable performance. The newest model presents a restyled body, grille, hood, wheels and LED lights. The Ford Edge for sale at Royal Ford, Yorkton, Saskatchewan has the latest 360-Degree Camera System, making you more confident on the road. Ford Edge Canada is designed to provide a better ride through well-developed features and specs. The Ford Edge Canada is designed with genius details. It has exterior design setting a bright beltline moulding, matched with chrome accents and standard 19-inch wheels. Also available are 20-inch wheels. With a ranging wheel lineup available in the Ford Edge Canada, customers are enthused to choose from the 18-inch Sparkle Silver-painted aluminum wheels (Standard on SE), the 21-inch premium gloss black-painted aluminum (Optional on ST; included in ST Performance Package). 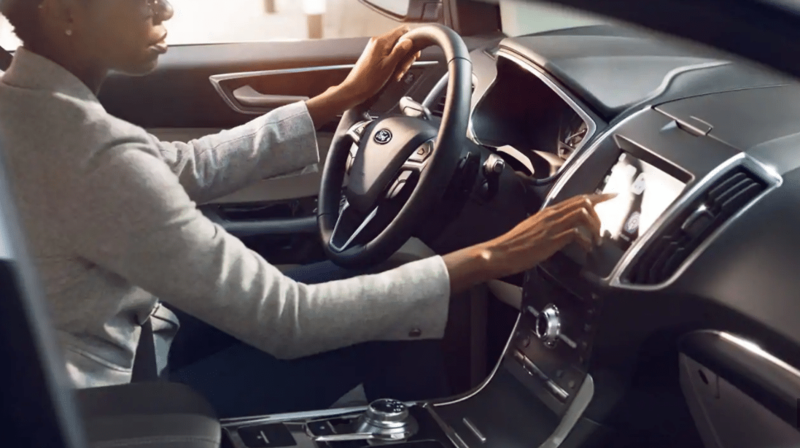 The Ford Edge Canada offers rotary gearshift dials, providing more room for cup holders, an improved trunk size, smart storage and a USB port, as well as the traditional gearshifts. 4) Get FordPass help from a friendly FordGuide. Ford SYNC® 3 AppLink® with Waze, making navigation easier. 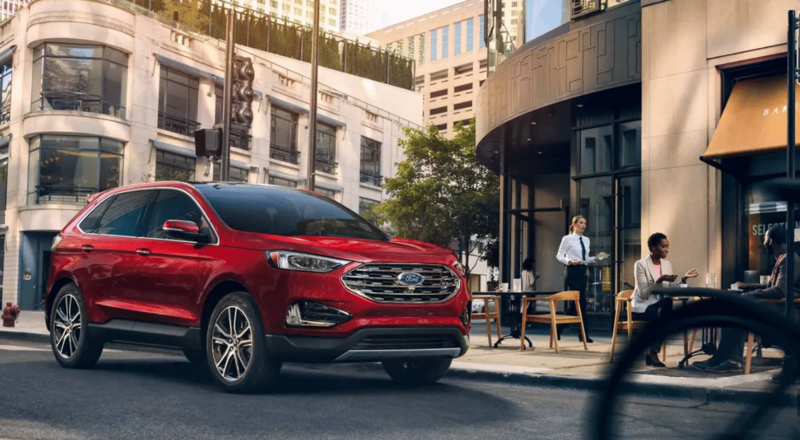 Ford Edge Canada is designed to excel and engineered to adapt a fast-paced lifestyle, giving you an option between the turbocharged twin-scroll 2.0L EcoBoost® engine or, the athletic 2.7L EcoBoost® engine (2019 Edge ST offers the best V6 horsepower in its class). The Ford Edge specs furnish a spirited driving experience in the ST sport mode, highlighting: Cluster/Paddle Shifters; Active Noise Control; Responsive feel with the revised electronic throttle programming in place; sharp engine braking to help decelerate before corners; and aggressive shift schedule of transmission depending on your driving style and road conditions. 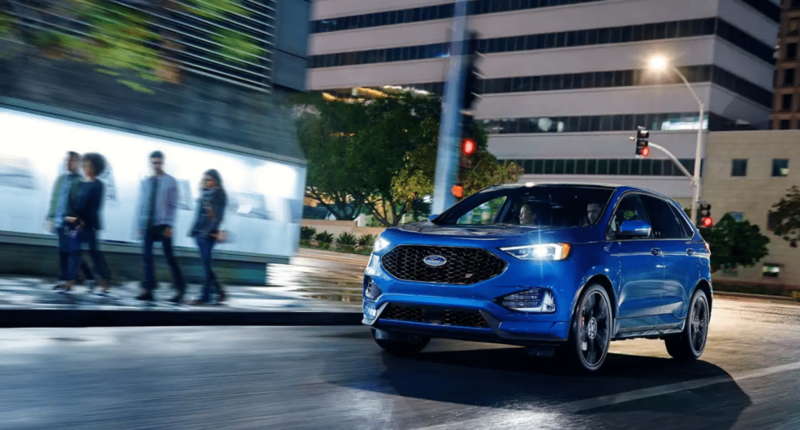 Ford Edge Canada has the auto start-stop technology, where the engine automatically shuts off when the vehicle comes to a stop and then seamlessly restarts upon release of brake. The Eight-Speed Automatic Transmission with Active Warm Up is a race-inspired technology. The steering wheel-mounted paddles enable you to change gears without taking your hands off the wheel. 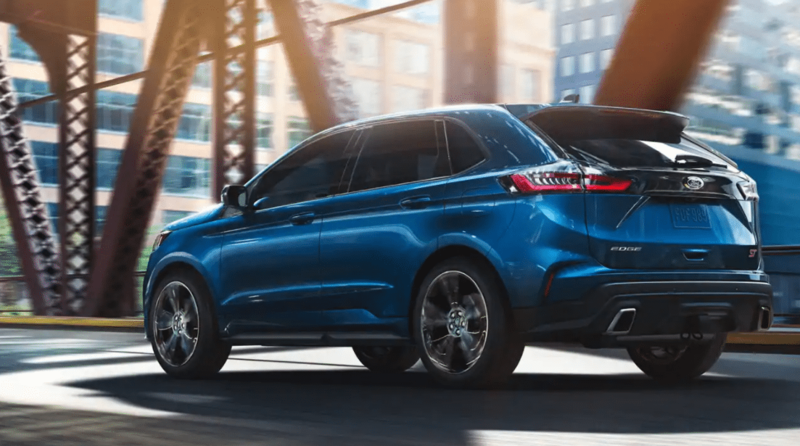 The new Ford Edge 2019 is a capable companion in our everyday grind, having Intelligent AWD which uses sensors to constantly monitor traction over different road conditions (standard on ST and available on all other models), the electric power-assisted steering, and the spacious 39.2 cu. ft. of cargo room behind the second row. The SUV also has hassle-free charging through the Wireless Charging Pad and new Bi-Led Headlamps and Fog Lamps for better road illumination. The Ford Edge for sale at Royal Ford, Yorkton can be equipped with the Class II Trailer Tow Package with Trailer Sway Control. The Class II Package is rated for towing up to 3,500 pounds. To learn more about 2019 Ford Edge price and specs, visit us at Royal Ford, Yorkton. You are guaranteed to have a unique, memorable and personal experience with our passionate professionals.